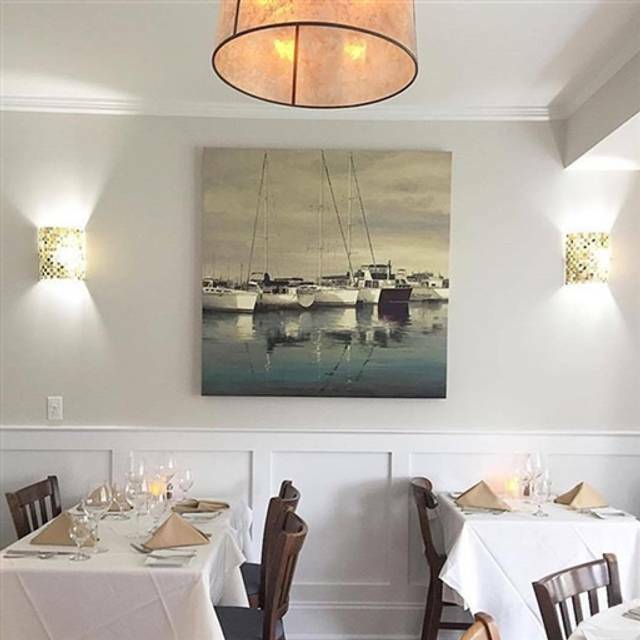 Bareli's By The Sea will be closed for the winter months and will reopen April 19th 2019. Open for Easter! Call us to reserve your table! Send us an email at events@barelisbythesea.com to book an event with us! Offering the most creative Italian/Continental Cuisine, now in Spring Lake! With our spectacular views of the ocean, and our beautifully renovated interior, you are sure to have a beautiful experience. Our chef combines his culinary flair with award winning traditional and innovative creations, using only the finest ingredients from around the world. Our extensive wine list paired with our renowned dishes makes for a truly memorable evening. Our professional staff is happy to assist you with creating a menu to suit your taste and make your birthday, bridal or baby shower, special event, or corporate function one to remember! Please contact events@barelisbythesea.com for any of your catering needs. Just a bad experience after having been there a number of time before and was served very well and attentively......it's a shame the management would have allowed this to happen.....the cost of the meal was not cheap , in spite of the poor service. Drinks were overpriced $17.00 regular martinis were $14. Very good - excellent food depending on what you order. 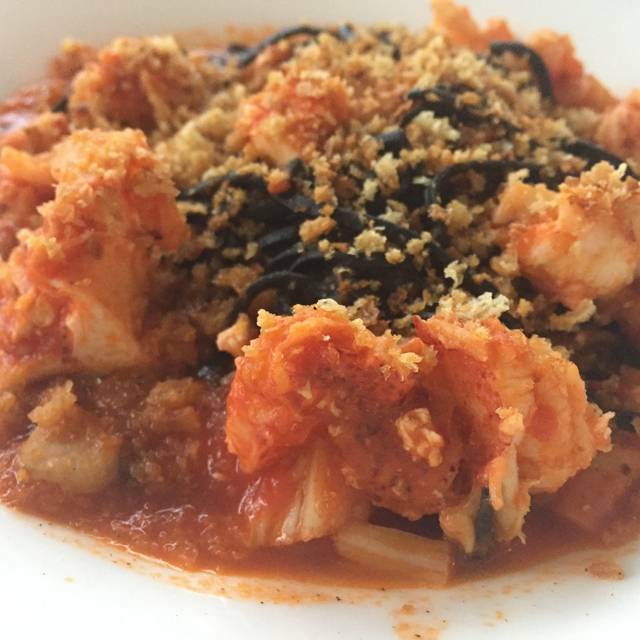 Loved the shrimp oreganata, it was done perfectly! Baked oysters, delicious and best pistachio gelato! Salmon was good, but I’ve had better. Biscotti cannoli was ok, regular would be better. Fantastic cappuccino- I’ll take 3 thank you! Food and drinks were good. Staff was friendly. Went during restaurant week so they had good deals to offer. We were a party of 4. We went on line & checked out the brunch menu. It looked pretty good. Made a reservation. When we got to the restaurant this past Sunday they gave us a lunch menu. When we asked about brunch we were told they don’t do it on Sunday’s anymore. We were disappointed but I must say our waiter when out of his way to take care of us. We asked if we could possibly get omelette -we got omelettes. The food and the ambiance are wonderful. The service is impeccable. I would recommend this restaurant to everyone. We had a lunch for 17 and they went out of their way to accommodate us and make sure that everything was perfect. We had dinner there that evening as well and once again the food and the service were outstanding. Seated in the foyer. Wait staff and kitchen were overloaded. Food was delicious. Basic wine list is overpriced. Dinner without dessert took 3 hours. Wanted coffee and dessert but we were tired of sitting for so long. Very enjoyable lunch with friends following the Spring Lake Kitchen Tour. Everyone enjoyed their lunch. Most notable the Pear Martini - to die for! Our first time here. Stopped for lunch. Beautiful location in Spring Lake. Can see the ocean when seated in the outside atrium. Food was excellent. Looking forward to returning. My husband and I love Bareli's and have been there many times. This time we brought friends who loved it just as much! Food and service were very good, although there is only a very small bar and really no place to wait until your table is ready. Overall, a lovely experience. Average at best. Waited for the summer crowd to die down to finally try the restaurant-tried it but don’t need to go back. Menu is uninspiring and presentation is average at best. Chicken parmigiana is slab of chicken on plate with scoop of linguine-pretty unimaginative and taste was bland. Also ordered the double cut porkchop which was an overpowering cut of meat. The taste was good and well cooked but to see a huge slab of pork arrive on a plate is a turn off. Waitress did not know much about wine by the glass selection, did not offer a wine menu or offer to ask the bartender. Much better options especially now that the summer crowds are gone. 2nd time at Restaurant was as good as the first ! As usual, Barellis did not disappoint. Food was absolutely delicious and service was stellar. The food was excellent with enough of a variety to satisfy everyone in our party. Although the prices were a little on the steep side, the quality of what was served warranted spending a little extra. 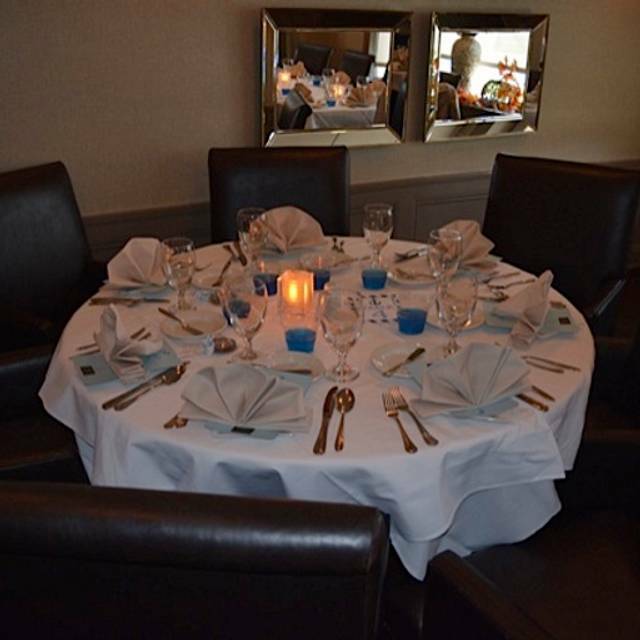 The service was also very good and even though it was a busy Saturday night, we were not rushed. Relatively limited menu, but dinner was excellent and service was super. Sadly insufficiently staffed. 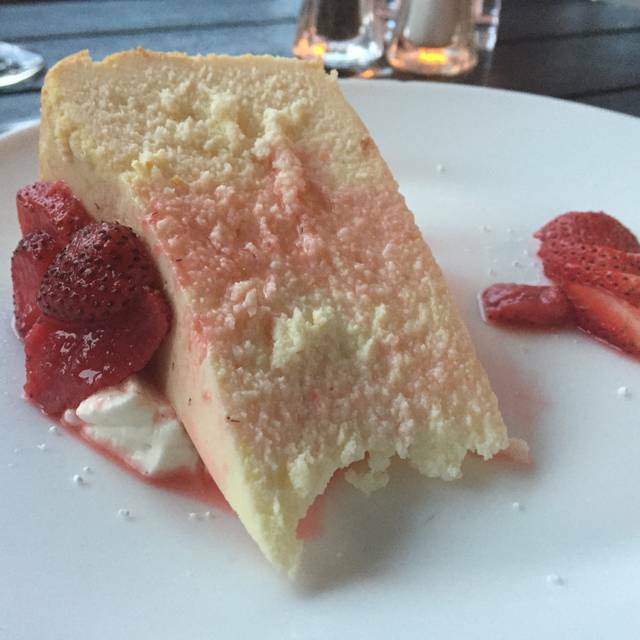 Over the past several summers, I have had many enjoyable dinners at Bareli's. Nice atmosphere on the open porch and inside dining as well. Great food and special drinks. Went there on a Wednesday night mid September and the restaurant was severely understaffed. We waited at our table for 40 minutes ...no menu...no drink order. Seeing the situation and need for patience, I went directly to the bar to get our drinks. I was told they would bring them to our table....another 10 minutes went by...no drinks, no menu. At that point we gave up and went to find another venue. September is not the best month here. Hope they get find some more staff. Second time dining there. Food and drink was very good. Service was a little lacking..maybe due seasonal turnover of help. NO decaf coffee..??? First of all , the food is superb: crab cakes were excellent, the app special lobster and salmon got raves, the halibut catch of the day was outstanding. The baked sambuca oysters are to die for. The view is wonderful. The service was, well, WEIRD. First off, an Open Table reservation is insufficient to hold your table: they demand cc info up front to charge you in advance; really? Do they get THAT many no-shows? Then the call you to confirm; then Open Table sendsTWO E mail reminders, one of which requires a response. So we do all that, and get to the restaurant precisely at our reservation time of 7pm, and there are three parties ahead of us at the receptionist stand — but no receptionist. Waitresses and busboys come and go; still no reception. Finally some one shows up, but without asking who has reservations, proceeds to seat or send to the bar, everyone ahead of us. It’s now 7:15, she takes our name and says, I can seat you, but we are backed up — whatever that means. You can’t have a Michelin three-star réservation process, no matter how good the food is, and give clam-hut service — not even at the Jersey Shore in the summer. This was my third visit to Barelli's and each time has been excellent! They were very accommodating when my dinner party reduced from 6 to 3 guests. The waiter suggested the appetizers which were all very good and the entire meal was well prepared. 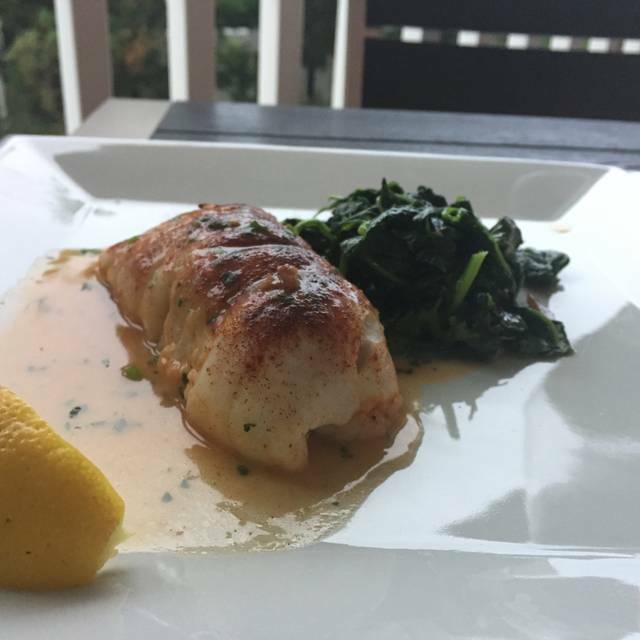 We've been looking for a resturant with Ocean views and exceptional food. I think we've found it at Bareli's by the Sea. Our waiter was exceptional and the food was surpassingly good! Very poor service. Long wait for food. Wait staff very disorganized. Very loud. Waiters were very inexperienced. Atmosphere was chaotic. Disappointed, compared to our last time there. Not sue we’ll go again. 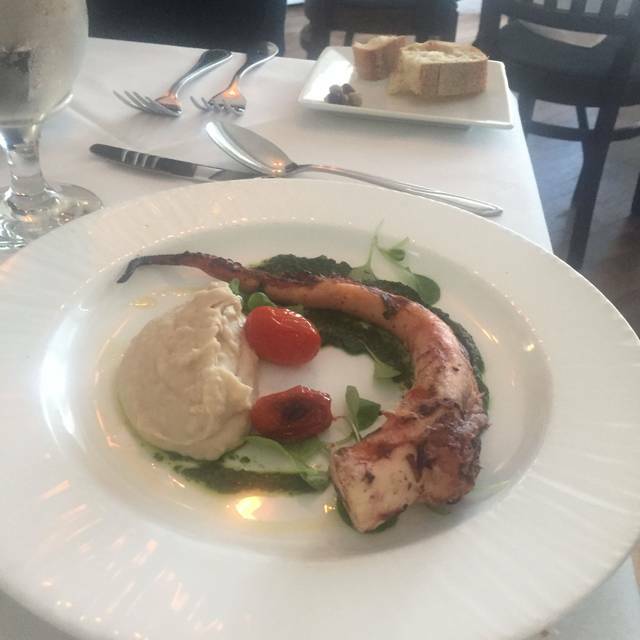 Wonderful service, delicious food and an overall lovely dining experience! Bring your ear plugs or your phone so you can text your dining partner. This restaurant is LOUD! I mean Metallica LOUD! My husband and I gave up trying to have a conversation. The couple next to us also gave up. The table of four across from us were holding their ears. They had live music. I couldn’t even tell you what the man sang. However, the food was great. We talked about it once we got outside. Sit on the porch if given the option. You’ve been warned. Our waiter, Michael, was excellent. Drink service was a little slow. Overall, great night out! Great outdoor seating with a view of the ocean. Entire staff very attentive. Experienced waiter was very knowledgeable of menu and specials. Food was delicious. Brunch was only being served until 3pm. The menu was limited. Very disappointing. Two martinis at the standing bar cost $40. To stand and drink. Appetizers were very good. Rib eye special was all fat. When we were asked how our dinner was, we said the steak was far too fatty. Waiter said rib eye steak is very fatty. Manager came over and made us another steak to go. Comping the dinner we did not eat would have been better Overall experience was not worth repeating. We will not be returning. This is a beautiful location, across the street from the beach, with the opportunity to sit on a porch overlooking it all. The food is excellent. Although staffed by seasonal, local kids, with little or no evident supervision, it is still a fun dining experience and well worth the trip. My husband and I have had lunch here before when visiting Spring Lake and enjoyed it, so on a recent weekend stay we decided to try dinner. We reserved way in advance and requested an outdoor table. On a balmy summer evening, nothing could be more delightful. Unfortunately the day of our reservation it was chilly and exceedingly windy, so we asked if they could accommodate us indoors. They were really nice about it and promptly seated us at a perfect table on a glassed-in patio right by the window, so we could enjoy the beautiful view of the ocean without the gales. Our waiter was totally charming though clearly hustling since the place was packed. It's far less noisy in this section, and though still loud, we could enjoy a conversation. There was a singer accompanied by an electronic keyboard channeling the great Italian crooners in the next room. I ordered a robust glass of Amarone and started with the oysters sambuca, which was a variation of oysters Rockefeller, and my husband had the caprese. The oysters were luscious, though I didn't perceive much of an anise taste from the sambuca. The mozzarella in the caprese was creamy and delicious and the tomatoes fresh and flavorful. For our mains I had a veal special that was a variation of saltimbocca (veal, prosciutto, sage) only with breaded cutlets and the addition of cheese, so quite a hearty dish. My husband ordered salmon rare, which was cooked as requested. The portion sizes were huge and I couldn't finish all of it, but the veal was tender and the preparation was totally scrumptious with perhaps a tad too much cheese. My husband's salmon was moist and delicious and the accompanying vegetables on both of our plates were fresh, tasty and perfectly cooked. Bareli's happens to serve a very good pistachio gelato that we shared. I wouldn't consider this a fine dining Italian restaurant, but it's a terrific Italian-American restaurant with delicious food. We're looking forward to another visit. The restaurant looks freshly updated and newly painted. The food & service were outstanding. Expensive, but worth it. Beautiful view if you’re there during sunlight hours. Have always liked this place & glad this latest incarnation is so well done! It took two hours to get our main course. Enjoyed the “Porch” and views of the ocean. Too windy and cool to sit outside so the glass enclosed area provided a bright “outside” environment. The apps were very good. Clams oreganata and smoked salmon were presented well and enjoyed. Special soft shell crab app/entree and crab cakes were delicious. Sweet potato hash and corn salad augmented the crab cakes extremely well. Finished the dinner with two gelato desserts that were creamy and soothing. Overall, a pleasant dining experience. Will be back. Went for the Sunday brunch and sat in the sun room overlooking the ocean. What better way to spend a summer Sunday? Had the Eggs Benedict. Yummy. And with unlimited Mimosas, who could ask for more? A good thing to share with friends. I was a bit disappointed in a few things. First, there was a very strong musty smell that hit you as soon as you walked in the door and was in the restaurant the whole time. That turns me off. There were a few flies flying around also which gets me a bit uncomfortable. The food was good but the brunch menu was limited. 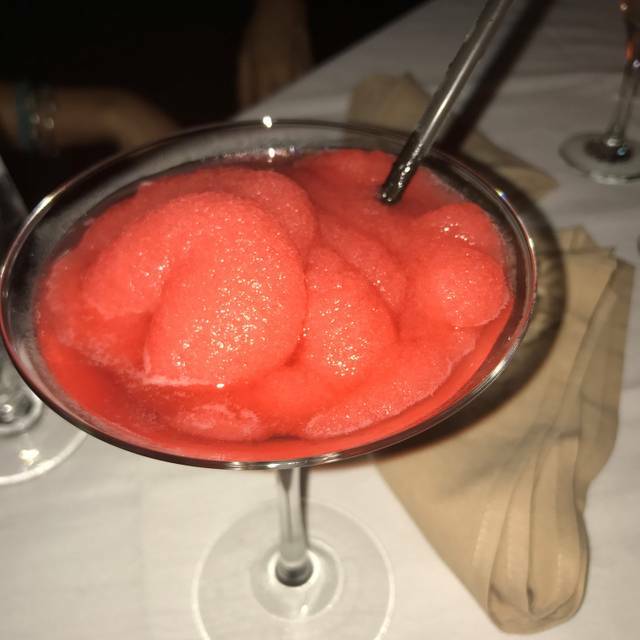 I was looking forward to a frozen Rose' drink they had shown on social media but they didn't have it ready. So all in all, I would not go back mainly due to the smell.